Who is God calling you to be? I’m going to honest, friend (from now through the very end of this post, so sit tight and get ready to get real), for the last six months or so, I had no idea. I didn’t really know how to trust God and His call for me. It’s not that I don’t know what I should be doing or where I should be going, or what direction I should’ve been taking my life. I didn’t know because I simply wasn’t listening. I wasn’t listening to God. And if I’m not listening to God, because I’m listening too much to myself or to the loud, loud world around me, how can I possibly hear the call of the Lord? So, I ask you, my dear friend: who is God calling you to be? It’s a tough, uncomfortable question, but also an incredibly powerful one. I promised honesty, and boy oh boy do I plan to deliver. It is not easy to be Christian (or Catholic) in today’s world. If you’re reading this, I’m sure you understand that. I was born and raised Roman Catholic and for that, I am incredibly proud. I’ve always been strong in my faith and I’ve grown a lot in my personal faith in the last few years. That being said, my faith has definitely had its ups and downs. I didn’t know it while I was happening, but I was on a downward trend in faith for the past few months. I didn’t know it was happening because I allowed my faith to switch to ‘auto-pilot’ because I’d felt I’d gotten to such a good place. In thinking “I’d made it”, I lost the intention and purpose in my daily faith life. I still listened to tons of Christian worship music, and I was praying semi-regularly in the car, before bed, and other spontaneous times throughout the day. I was praying, (nearly) daily, so I thought I was doing just fine. Faith is not something that can be put on autopilot. God doesn’t work like that. I hadn’t been to confession (click here to learn about what confession is), a vital sacrament in the Catholic church, in over a year, and finally put an end to that bad streak this past Advent season. After I’d confessed my sins to the priest, he asked me a question I wasn’t expecting at all. And I looked at him with wide eyes. I’d just confessed the sins that had weighed so heavily on my heart for so long, and that’s what he wanted to know? I answered honestly, that I didn’t know, but I did know what things God didn’t plan for my life. In that moment, I knew that God wasn’t calling me to live the way I’d been living. I’m not sure if that’s the answer the priest was looking for, but it was true. So if I know what God doesn’t want for my life, why do I act like I don’t? Why do I continue to do the things I know are not God’s intention for me? That question was a much needed wake-up call and a snap back to reality. I thought I was doing well at leading a grace-filled life. But in my stubbornness and busyness of life, I’d forgotten to truly listen to who God was calling me to be, beyond just being a do-it-all-blogger-business-owner-college-student. There’s a difference between not knowing and not listening. There’s a difference between going to church on Sunday because that’s just what you do, and going because you genuinely want to spend time with the Heavenly Father. There’s a difference between praying in the in-betweens, and praying intentionally every single day. There’s a difference between putting your faith on auto-pilot and living your faith with two hands on the wheel. I’m not writing this from a place of being holier-than-thou or acting like I’ve suddenly ‘figured it all out’. I’m writing this because God has placed this on my heart, and because I want my platform to be a place where I can share this with you. I haven’t written about my faith as much as I’d like recently, and after reading this post, I’m sure you can see why. Dear reader, I do not know who God is calling you to be. 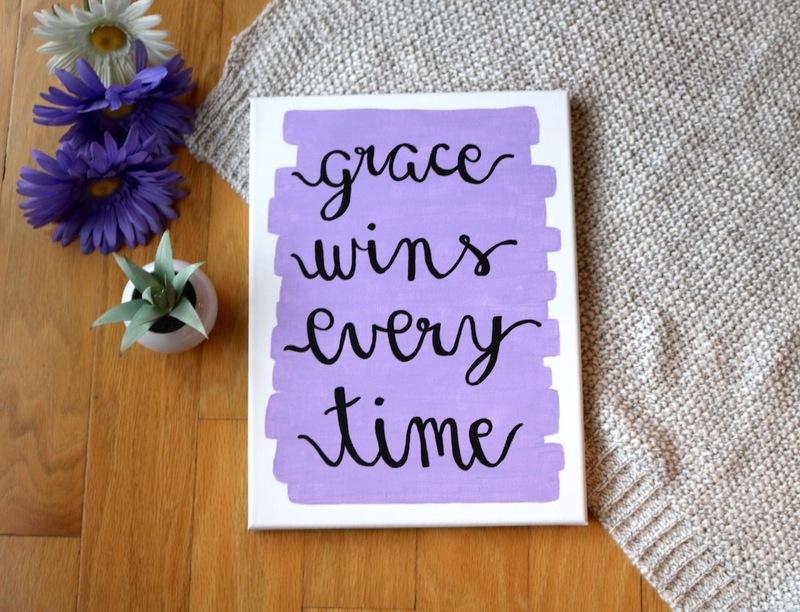 But I do know he is calling you to a life of grace, faith, and forgiveness. However far you’ve run, you can never run out of His forgiveness. However great you feel your sins and mistakes are, His love is greater still. He is waiting for you to want him the way he so desperately wants you. I don’t really know who God is calling me to be, either. And that’s just part of the beautiful mystery of a faithful life. But I do know that I’ve made faith my top priority this year, and in the past two weeks, I’ve listened to his call and begun praying intetionally. I know that God called me to stop running and stop pretending that I’m just fine all on my own. I know that God called me to turn off the noise of the world long enough to hear Him. I know that this year, God is calling me to make prayer a priority. I know that God is calling me to spend less time on Instagram, which I too-often leave feeling negative and un-inspired. I know that God is calling me to spend more time doing the creative things I love, like reading (see my 2018 reading list here), writing, and journaling, where I feel more like myself and more refreshed in spirit. I don’t know exactly who God is calling me to be yet, but I’ll never know if I don’t listen. This post got mighty deep and mighty honest, but this has been weighing on my heart and I hope that it can inspire you in your prayer life, too. I know that God is calling you to be something incredible, if you’ll focus on him long enough to listen. As always, thanks for reading and letting me share this part of my heart. Feel free to leave a comment below or reach out to me on social media! It’s good to see you accept the fact that God is the center of everything. No matter how good your life seems to be it is nothing without God. Keep up the good work a continue your relationship with God. You are very courageous to be so vulnerable, and that is a good thing!!! The Lord wants you to know Him and He also wants you to know who He created you to be. He will be faithful to show you – just keep seeking. He promises you’ll find!! Love that last quote you shared: that we won’t know who God is calling us to be if we don’t listen. Keep the faith & keep trusting! How exciting and fun to see God at work in you! Thank you for sharing. I was once told that faith is like paddling on a river. If you aren’t paddling forward and think you are just resting, you are actually moving backwards. Hope you have a wonderful spring semester! Love that you mention even if we don’t know what our God given calling is, we should do what we know is right in His sight and refuse to do what we know He hasn’t called us to do! Insightful post! It is so easy to get on autopilot with our faith, going through the motions without fully being present with the Lord. Thanks for the reminder that we need to be intentional!